Let’s get this clear right from the start – I am a human writing this article. That can change some day in the future, but for now, a carbon based life form is forming these thoughts and expressing them to you. I enjoy seeing the musings that predict how the labor force will change as robots are being used in more and more job roles. One thing I know for sure is that the rate of change is never as fast as the predictions say they will be. I think the definition of what is, and is not, a robot is still a bit elastic. For me, a simple definition is a device using mechanical, electrical and software components that can perform a series of steps that result in a work product repeatedly with quality similar to, or, exceeds when the same work product is performed by a person. Regular readers know I have mentioned the topic before and I have been paying specific attention to the progress with robots driving cars. That is a change I welcome and hope to see in my lifetime. In the interim, there are jobs that robots are performing already and we will see other jobs that can, and will, be performed increasingly by robots. I expect one area that robots can be a competitive advantage is in business recovery. Simply stated, using robots ensures the business is always available using redundancy and fail over/recovery tools performed by robots based on triggers set by humans. Relative to the definition used for robot, there are companies that can state they already are doing this. Going forward, I expect this capability will be common place in more and more industries. Each of these is plausible where a human could eventually be displaced by a robot. From this list, robots are already working in some of these roles. For other jobs listed, many changes are needed before a robot is capable to do the work. Last, for others, there will be much resistance, consternation, hand wringing and posturing in opposition to robots working in those roles. Also, notice jobs that are absent from this list (teachers, doctors, programmers, managers). While robots transition into these jobs as well as others, that implies that us carbon based life forms will be working in new jobs. That is a consistent theme from what I have read. 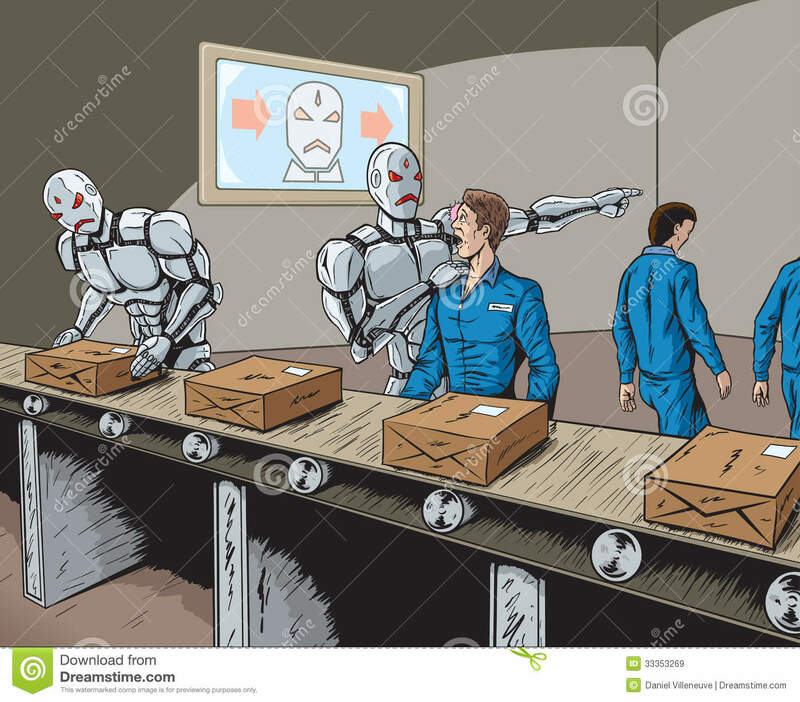 The robots will enable us to do new work as we use the results of their labor for our jobs. Here is another article that begins to describe that effect. The changes implied in the transition will range from the simple to the complex. In many cases, a one to one direct replacement from carbon life form to silicon based worker is possible. In other jobs, getting work to a point that the steps involved are repeatable (and, consistent) may drive ripple like changes to other jobs. The resulting changes required will happen with more and more frequency and in jobs that we do not anticipate at this time. How will you prepare for this change? What impact will that have on your job? 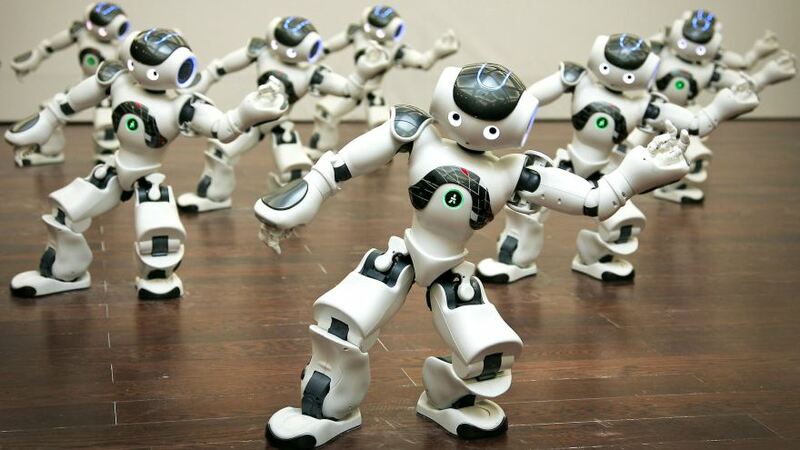 How can you use robots for your business? Comments invited and the next update on this topic may, or may not be, written by a human.